Many of the things you'll take for granted about your website later may appear strange or complex at first. They're not really, but these pages try to help you over some of the most common difficulties new website owners face. If the support topics below don't help, give us a call. We might need this information if you report a problem to us. We usually configure websites to provide visitor statistics using Google Analytics, a comprehensive and highly visual way to see how your website is performing. We'll do all the setting up for you but this section reminds you where and how to get to your statistics and a very brief explanation of what you can see there. How to see your visitor statistics. 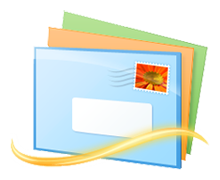 All Abbeydale hosted websites provide several email addresses based on your domain name. Your IT support can help you set your mail program, or use the following instructions. 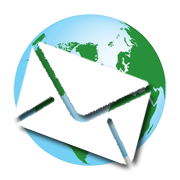 Abbeydale hosting accounts provide web access to your domain based email. You can send and receive email from anywhere with an internet connection even if you don't have your own computer of tablet to hand. If you're going to update your own website you need to be aware of how the search engines work and how they view your website. There's lots of advice about what the search engines look for on your web pages over at www.panpage.com - how to choose search keywords, how to use your keywords and where on the page to put them etc etc. Getting links from other websites can be time-consuming but is worth it as inbound links from good quality websites in a similar or complementary line of business will help raise your site's position in the search results. For many search categories, and especially where you include a town or postcode in your search, Google will return a few ads first, a couple of natural search results, and then a map with pointers to local businesses which match your search. To get yourself and your website into these local results you need to set up a local business listing. It only takes a few minutes and it's free. Its well worth doing for any business or organisation with a local client base. Love it or hate it, its just another way of communicating. For some people its a way of life, for others its the worst time waster imaginable. But if you're in business, you can't ignore it. We can offer advice on how social media can help your business, and depending what will work best for you, we can set up the relevant widgets on your website, or point you in the direction of experts who can manage a social media campaign for you.